Giampiero Ventura may choose to rest a number of the team who played, and came so close, to forcing the tie against Zenit into extra time. That may mean a first start for Alvaro Gonzalez, whilst Bruno Peres should almost certainly come back into the team. 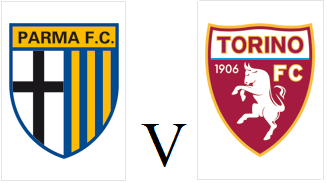 Parma were officially declared bankrupt on Thursday, and with relegation a certainly, the only question left to be answered is whether they will start next season in Serie B, or start over again from Serie D.
Antonio Nocerino, who began the season on loan at Torino, could start for the home side who have not won since January.